According to the Denver Post, the Colorado state auditor’s office is planning to review the workloads of caseworkers on the child protection staff as well as the screening process for accusations of neglect and abuse in an effort to improve the functioning of the child welfare system in the state. Several reforms measures were passed through the state legislature this year, and many in the system believe that caseloads are too large for caseworkers to effectively handle each of them. By decreasing the caseload of the workers, the feeling is that the state’s children can receive better care, and be safer. There is a plan after this audit is completed to take a look at whether the department spends its budget effectively. Concerns about the welfare of our children tend are the very first consideration of most parents. In fact, many marriages end each year because one parent is trying to keep his or her children from the other parent. It is a sad fact that each year, many new cases of child neglect and abuse are uncovered, and in a large number of those cases, the abuser is in fact a parent. Knowing what to do to protect your children from your spouse can be incredibly difficult, and accepting that an abusive situation in the home may be a situation that can only be fixed by ending the marriage is painful. Speak with the compassionate, knowledgeable Littleton family law attorneys at Bahr, Kreidle & Flicker today if you are considering divorce. If your children’s safety is at risk, you may need to file for a restraining order to keep the abusive family member away, or even to protect yourself. Bahr, Kreidle & Flicker has helped numerous Coloradans to protect their rights and to ensure the safety of family members when a marriage has ended. This is an extremely difficult, painful time, and you need someone to help you understand how to get through the legal process. 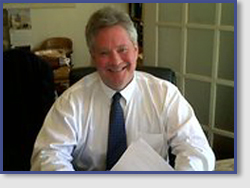 Contact a dedicated Littleton divorce attorney who can stand beside you today. For more information and a FREE CONSULTATION, speak with the Littleton family law attorneys at Bahr, Kreidle & Flicker today by calling (303)794-7422.